We were very pleased to welcome Vic Aspland, President of the Cyclamen Society, to the RNG herbarium today. 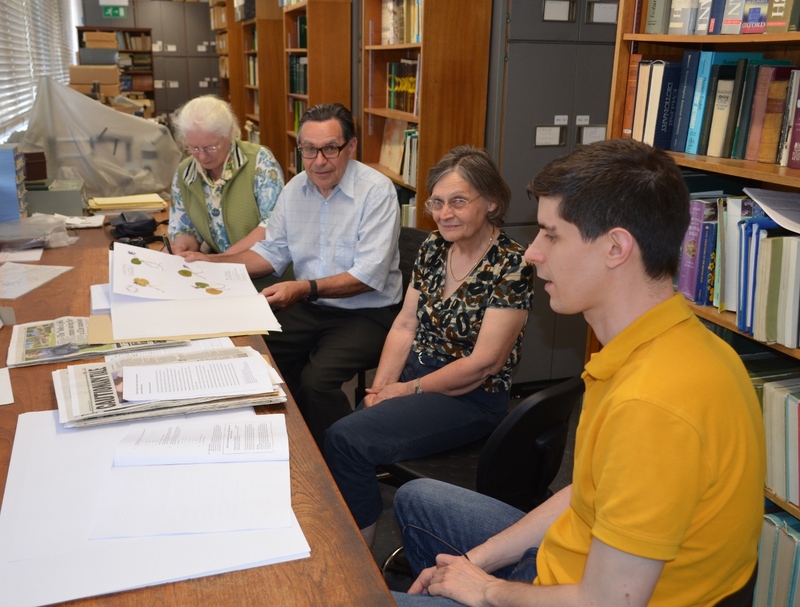 Vic and colleagues from the Society had chance to examine the recently mounted herbarium collections of Cyclamen colchicum from the Society expedition in 2013 and to talk to Kalman Konyves who has been conducting some Cyclamen DNA sequencing alongside his PhD on Narcissus sect. Bulbocodii. 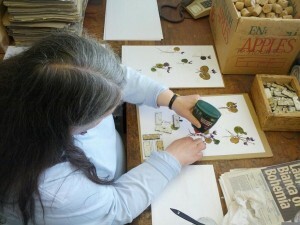 We have been working with the Cyclamen Society very productively for over 10 years now. They have supported three MSc projects as well as more ad-hoc research. The work they have sponsored has resulted in a series of articles for the society journal including three from MSc projects and two from PhD and post-doctoral research. Sponsorship from the society has contributed to the publication of several refereed papers too. Key Society contributors to this work include Martyn Denney, Chris Clennett, Melvyn Jope and Peter Moore who have co-authored papers with us. Culham, A., Denney, M., Jope, M. and Moore, P. (2009) A new species of Cyclamen from Crete. Cyclamen, 33 (1). pp. 12-15. Culham, A. and Bota, P. (2009) The taxonomic status of Cyclamen subgenus Psilanthum Schwarz. Cyclamen, 33 (1). pp. 22-25. Compton, J.A. and Culham, A. (2003) New combinations in Cyclamen subgenus Psilanthum. Journal of The Cyclamen Society, 27. pp. 70-72. This entry was posted in Herbarium RNG, MSc Plant Diversity, Public Engagement with Science and tagged Cyclamen, Kalman Konyves, RNG, Vic Aspland. Bookmark the permalink.